At Shelter From the Storm, we use high quality, energy efficient vinyl and wood-clad windows and patio doors from ProVia, available in a variety of sizes and styles. From bay and bow windows to slider, double hung and casement windows, we offer whatever you need to complete your project. We can even bring samples to you. A Transferrable Lifetime Warranty is available for each window, providing security and adding resale value to your home. ProVia windows and doors are manufactured in Franksville Ohio in the heart of Amish Country. One tour of their facility immediately shows the dedication to workmanship, lean manufacturing and the unbelievable quality product they produce. ProVia windows are made with the utmost craftsmanship. The ProVia Endure Series are constructed of SunShield® vinyl assuring protection from the harsh effects of weather and UV light. The ProVia welded frame and sash construction result in long term durability. With their Barrie-Fin and bulb seal weather stripping they have created a valuable seal at the important locations where air could pass through. For performance 700 times better than aluminum ProVia uses Innergy® Thermal Reinforcements. 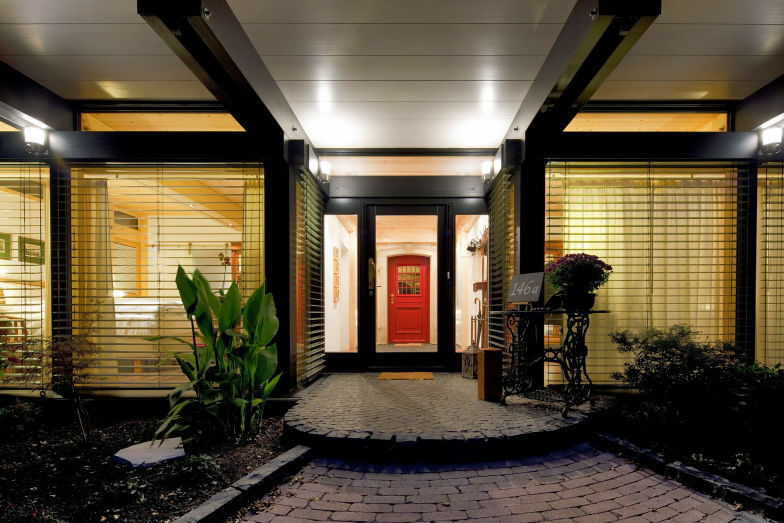 We offer a variety of door options from ProVia, featuring old-fashioned workmanship and impeccable, modern production. The material and craftsmanship that goes into custom-made doors are of exceptional quality and durability. These masterfully crafted doors will not only give your home an aesthetically pleasing feature, they will also provide ENERGY STAR certified energy efficiency and the utmost in safety as well. Your entry system is a reflection of you and your style. Each made-to-order door is a uniquely customized creation of its own. Choose your style, glass options and the finishing touches of hardware and accessories. We at Shelter From The Storm offer the opportunity to have your door just the way you want, perfectly reflecting your personality.